I see something laying around and it bugs me. I pick it up, hand it to a child and tell them to put it away. A few minutes later I see the same item, this time laying in a new location. I ask another child to put it away. Later I find it again in a new location. I will not even tell you how many times this may be repeated throughout a measly hour. Time for a family meeting. I ask, "Why do YOU ALL keep not putting this away where it belongs?!" Guess what they said??? "We have no idea where it belongs!" Let me give you some examples- the laptops, the ipad, the girls' pocketbooks, the keys...you get the idea. If you cannot find a home for something, maybe you do not need said item! Identify where things go and then keep them there when not in use! If you walk around saying "everything has a home" long enough, they will get the idea. 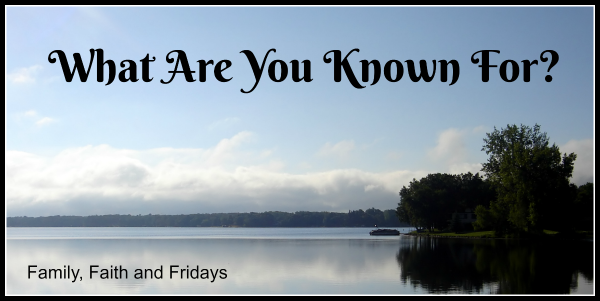 Ask me how I know this? Start up and work down, so for us that means ceiling fans and lights. UGH! Notice that my 22 year old who likes heights is on the ladder, not me. Some chances are just not worth taking. Wipe down all of the knick nacks you have on said furniture and try to put only half back! ;) Now is the time to get rid of the things that are just taking up space. Look at it this way, the more you have sitting out, the more you have to dust each week. Ask yourself, do I love this or is it just taking up space? Let's try to surround ourselves with only the things we love and that truly bring us joy! Take vent covers off and wipe down or vacuum out. As as long as all the furniture is out from the walls, rearrange. Oh, wait, that may be just me! ;) Remember, this family moves a lot. Emphasis on A LOT! So when we get to stay in one place say, for more than a year, we tend to get antsy and rearrange furniture. We have been in our current house just over a year and the furniture has been rearranged three times. True story - when my oldest was about five and daddy was gone for a few months, I rearranged the living room. She stood in the middle of the room crying, "put it back, put it back, daddy won't like it!" Don't even ask how she reacted when I painted! Luckily, she is now the Queen of Rearranging and I am happy to say did not cry once during this project! As a matter of fact, her new love is staging houses to sell. I think she is awesome at it because I have given her so much practice. You are most welcome, Ashton! On to windows. UGH! We have large windows in our house, so a ladder was needed but we did get it done. I am so thankful we do not have blinds in this room! I am also thankful these wood panes are decorative and pop out for easier cleaning! -Two quick tricks if you do have blinds- if it is easy to do, just take the blinds down, stick them in the bath tub, and bribe pay your kids to scrub them! Tell them it is like pool fun, but better. - If you are too lazy to do that, just spray them down while still hanging, start from the top and scrub away. I do this and it usually works just fine for me. Make sure that after you finish the blinds you raise them and clean the windows since they will now be gross, too! And about those curtains. When is the last time yours were washed? Fess up! We have very few hanging for two reasons. The biggest is because I refuse to buy curtains to fit every window of every house we live in. The second is because as much as I like the look, they do collect dust and are not the best for our oldest and her allergies. Anywho- if you have them, take them down and wash them. You may even decide to leave them down for the season and let the light shine in! We do have curtains in our current house, but since Ashton recently made them for me, we just pulled them down, shook them out and aired them outside for a while and then rehung them. Are you tired yet? I am! As you can see, I had a helper and this was not a quick project. But as I sit here typing a recap I can look around and smile- it looks tidy, smells clean, and says WELCOME! Even the helper gets a break! Your turn to work on those Living Rooms! Can't wait to see what you do. 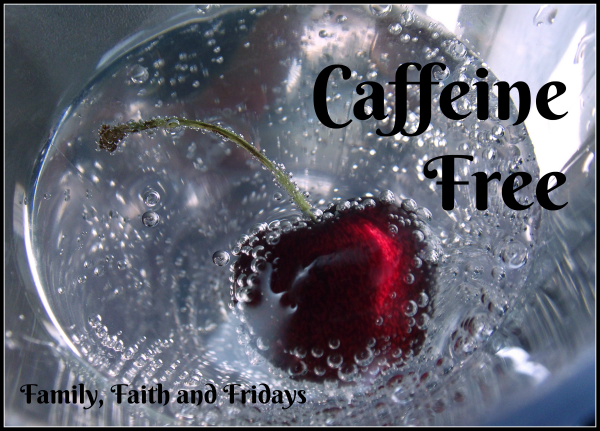 Make sure to leave us your pictures on our Family, Faith and Fridays Facebook page. Those who do so weekly will be entered into a prize drawing for a $50.00 gift of your choice from our friends at 621 gifts and a lovely sign, handmade by our friends at Redeemed! Also, because I cannot just let my friends treat you, I am adding a prize for you next week! Let's see those Living Rooms! Because we have the privilege of reviewing homeschooling material, our shelves get full rather quickly around here. In an effort to lighten our load a bit I am going to sell a few of the things we have. All of these items are in excellent condition, from a non- smokers house. Shipping is included in the price! I have added the links to the material where I could so you can see the details of what is included. If you are interested in any of these great sets, just leave me a message with a way to get a hold of you. This is a great Literature program for high schoolers, and I have the first two books you will need to begin. If you have not used Sharon Watson for anything literature related, you are in for a treat! We love her stuff and I think you will too! OK friends, think college prep here! This is no skim through it course! Very complete, very organized, and somewhat challenging! The lab video alone sells for $50.00, so this is a deal. Expect a heavy box to show up at your door! This is the first edition of this book, but still a great resource for elementary and early middle school kiddos. I have included a daily schedule guide that I used and loved! What a fun book with all kinds of experiments in it. The first 10 chapters are geared towards kiddos 4-7 and the next ten chapters are a bit more challenging for up to early teens. We had a lot of fun with this book! Regardless of the fate of the company, we still love the resources they put out for years. This includes the DVD, CD and study guide! "Filmed and recorded on the 2010 European Faith and Freedom Tour, this interactive study course is perfect for use by high schoolers, as a discipleship tool for church leaders, and as an adventure to be shared by entire families-all wrapped up into one power-packed resource." There may be more coming, but let's start with that! It is hard to let stuff go, but I know others can be blessed with these amazing products! I am blessed daily by the companies we review for! I know! Can you believe it? And stick with me, because this is actually going somewhere. But caffeine free? I think I actually heard several friends that know me well gasp in surprise! That is because if they have known me for long they know I usually have a diet coke in my hands. The only reason it was diet was because I had gestational diabetes with my third pregnancy and was scared into switching to diet. Not the best trade off, but it worked for me. I am not a juice drinker. I am not a coffee drinker. And no, even though I am from the south, I am not a tea drinker. That leaves, you guessed it, WATER! And while water is really good for you, really it is, in my opinion it gets boring. So diet cokes became my staple. I won't even share how many I could consume in one day. It became a habit and a crutch. But with the hounding of a daughter and the encouragement of a few friends, I have been on a quest to cut the diet cokes from my life. And actually not really because of the caffeine, but all the artificial sweeteners and such in them. I do not think the caffeine was my addiction, I think the carbonation was. Last time around (yes I have been down this path before) I had really bad headaches from withdrawal. This time, not so much. I did wean myself rather slowly which might have helped. Not all "natural" drinks out there are created equally. Some just plain taste bad. Like really bad! I have now found one that has old fashioned sugar as a sweetener, and I limit myself to one a day. Unfortunately it also has dyes in it (so much for natural) so those too will be out soon. I can only tackle one thing at a time. Water is still boring. But I am learning to deal with that, because I drink a lot of it. If I keep a water bottle in my hands I tend to drink more, not want to reach for a canned drink, and HOPEFULLY will drop a few pounds. We will see. I really do want to be more healthy, but I have zero will power. Zero. I can get on a trend and stick with it for a good while, but if something throws me off, I am done. Like, I had been on the treadmill 5 days a week since July when I got horribly sick with pneumonia and bronchitis right before Christmas. I was in bed for a week and coughed for over 2 months. True story! Getting my rear end back on that treadmill has been like pulling teeth. I am finally back to 3 days a week, but I am still not having fun. So why ramble on and blog about something so silly? Because we all have our "thing." OK, we have LOTS of things, but the point is we all have things in our lives we struggle with. Some serious, and some not so serious. Overeating. Addictions. Depression. Hard marriages. Hurting children. Disease. Loneliness. Over spending. Money problems. The key is ALL. As in everyone you know. Even bloggers who seem to have it all together (not that you thought I did). Don't be fooled. No one has it all together. No one. You are NOT alone in your struggles- whether small, seemingly insignificant ones, or the really big ones that threaten to overcome you. Reach out to others, and reach up to God! And if you need a friend, you have one here! OK, I am going to just jump in feet first and say it- I am so excited about this week's challenge. Why, you ask? One, we are DONE with the kitchen. And two, because I do not currently have a dining room. We have had many in the past but short of being just another place to hold extra stuff, they are not a good fit for our family so I am ok with our lack of one. Dining rooms tend to be areas that only get used a few times a year and otherwise go unnoticed. Or get turned into a school room, but that's another post! I may not have a formal dining room in this house but I do have two additional storage areas- one that "should" be housed in a dining room-type space and one that happens to be a good place to hold the overflows that usually end up in our dining room. When one moves frequently and lives in a variety of types of homes (yep that's us), one gets a little creative and has to think outside the box. Inside it are things like placemats, tablecloths, and a few silver trays I use for entertaining. One of the deep drawers is also the perfect place to store the punch bowl. After taking out a few things to move on to Goodwill, four of those drawers are empty! Yay me! ahhhh, I love empty spaces! The second area we keep dining room type stuff in is in our basement wet bar area, so I cleaned it up as well. Remember, if you have things spread out in different areas, catch them all. -So here's the deal, grandma's china may be lovely but if it does not get used it is just taking up space. If you love it and use it, keep it. If not, give it to someone who will. This past year I finally let go of one of our Christmas china sets. Now I have only one, but someone somewhere is now enjoying the other set (I hope). Win win! - Almost 25 years ago I thought it was a great idea to register for 12 wine glasses and 12 champagne glasses, along with 12 of a lot of other things I did not need or use. Eventually I gave our movers a break and passed them on (you are welcome!). Yes, they were pretty, no they were not necessary. -If you entertain and can justify owning glass plates and a punchbowl, by all means keep them. I do. But if not, most churches have sets like that and are usually more than happy to let you borrow theirs. Again, make decisions that are right for you and then be happy with those decisions. Now that those furniture pieces are cleaned out, time to clean them up and make them shine! Clean top to bottom. If you do have a separate dining room, pull all the furniture out from the walls and clean behind each piece, vacuuming or mopping, whichever is applicable. 6 weeks of challenges down! How are you doing? We love seeing all of your pictures each week and are amazed at all of the people still in the running for our prize giveaway at the end of our series. A BIG thank you to 621 Gifts and Redeemed for supplying such great treats!!! Wanna see another one of my favorite signs from Redeemed? So... another week of cleaning and we are on our way to taking our homes back one week at a time! Glad you are with us! For some reason the word and theme of Gentleness has come up in my world several times these past two weeks. Several! I have learned that when things keep repeating themselves, it is a clue to pay attention. 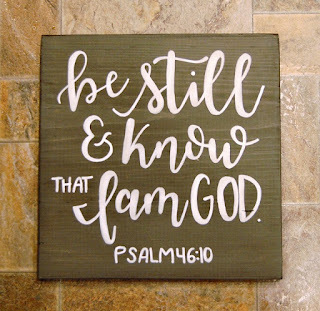 I often times think it is how God speaks to us. Forgive me for sounding judgmental, but the world has been anything but gentle these past few weeks. The recent presidential election threw everyone into a panic and instantly changed even sweet, older ladies into hardened opponents. It has been ugly folks! And those are just the Christians. Let's not even talk about the rioters and those spewing hate from one side of the country to the other. Through it all, all I could think of was, what is wrong with everyone? Where have they put their brains? Do we really need to attack people, literally in many cases, because they do not agree with us or believe in what we believe? Where has our gentleness gone? After all, we ARE called to gentleness. Regardless of how we feel or even what we think, as Christians we are called to be Christ-like. To display the characteristics that He displayed. To be gentle. So what, my friend, are you know for? I don't know about you, dear friends, but I want people to know me by my gentleness. To see God reflected in me. And to be drawn to me because of that. It is something I am working on. One last "spreading the love Wednesday" for you! We have had fun the past two Wednesdays giving away Bibles, first one for children and this morning, one for families to Sarah M.
Our last giveaway- this one is for you ladies! This hardback journaling Bible is beautiful! The single columns allow for space for notetaking or fancy journaling. Can't wait to share it with one of you! But ladies, let's not let the love stop here. Let's aim to spread love throughout the year and not just save it for February. The world could use a little more love and a little less hate! Leave me a comment to be entered to win and don't forget to let me know how to reach you if you win. We will choose a random winner next Wednesday. 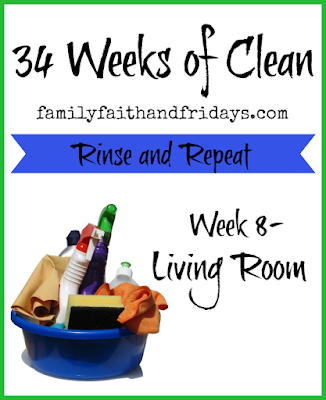 The first time we tackled 34 Weeks of Clean my friend, Cristi, from Through the Calm and Through the Storm reminded me of Kitchen Countertops! I personally did that when we did the cabinets, but failed to mention it to you. SOOOOOOOOO, if you have not tackled that area yet, today is the day. Clear them off, clean them up, and see if you can keep them clear! Now THAT is the challenge. In our family we each have a water bottle that we drink out of, a different color for each person. Because I got weary of them being all over the house, I gave in and put a basket on our kitchen counter for the water bottles to be held. Somehow they make it close, but seem to not make it in. Let's just say we are still in training! I challenge you to only put half of what you take off those counter tops back- it might seem stark at first but you will be surprised at how much neater it will look and how much more prep space you will have. Out with the clutter, my friends! Stove/Oven- This is a good job for a maid, but since I cannot convince my hubby I need one, I guess I am the one tackling this one. Yay for automatic oven cleaners, yuck for the burnt smell no matter what. I admire you who can keep the bottom of your oven clean. I am not one of those people (obviously). I have tried. I have failed. Crack your door or window if you can to get rid of the smell! I do love a gas stove, but I do not love this one! Too many spaces for crumbs to fall through and hard to clean. Yes, this scared me a little! It is now back together and looks great! I ended up with this mess. Now, my oven is never spotless, but I assure you it is not usually this bad. And while that dessert was worth it, it did take a while to clean! This time around, I sprinkled it with baking soda, added white vinegar and heated the oven up! After it cooled, I scraped off the mess and wiped it down! It's not perfect, but it is MUCH better! Tops of cabinets. While I do like the fun decorative space they provide, when I build my own house someday I am putting in cabinets that go all the way to the ceiling. Until then, the dust must go! Make sure you not only take all that decorative stuff off the tops and wash off the LAYERS of dust, (anyone else? ), but then also take the time to vacuum or wipe the layer of dust off the cabinets. If you have blinds in your kitchen, now is the time to wash them down. You can dust them on a regular basis, but they do occasionally need a good, deep cleaning! I have taken ours down in the past and put them in the tub, but our current ones are wood so I just do them slat by slat. Remind me if I ever get to build my dream home- NO BLINDS!! Ugh, they are a pain to keep clean. If you have curtains (smart you! ), just wash them and rehang. While you are there, wash those windows and wipe down the ledges! And last but not least, wipe off any light fixtures you may have in your kitchen, replace any burned out light bulbs, and check your fire extinguishers! If you do not have one, small but handy ones can be purchased at your local Walmart or such. Consider that your friendly public safely announcement. You are welcome. Let me also take a second to encourage you to keep moving forward. We all have busy lives. Some weeks are crazier than others. Some times we gets lots done, other times we should just celebrate that the children got fed and bathed, right? Thank you again to Redeemed and 621 gifts for their gracious donation of prizes for our final drawing. Keep sharing those pictures on our Facebook page to not only stay in the drawing, but to encourage and spur others on! You all are AWESOME and I love the community you are creating! If you have hung around Family, Faith and Fridays for any amount of time, you know I love to review books! It is even more fun when I can bless one of our readers with a copy of said book. BUT, you may have noticed that I tend to shy away from adult fiction. There are several reasons why. One, I recognize that everyone's idea of "good" and "appropriate" vary greatly and two, I rarely have time to read fiction, quite honestly. But this book, When We Last Spoke, captured my attention. I debated and debated. Should I take a chance or not? I did. And I am so glad I did! When We Last Spoke, written by Marci Henna, is a sweet story about two sisters from Fireside, Texas who were deserted by their mother, lost their father to war, and were left to be raised by their grandparents. Now grown, older sister Juliet, who never left Fireside, recalls their childhood days growing up with the loss of both parents, but with the intense love of their grandparents. It is a story about families, relationships, and healing. While the majority of the story is a flashback to their childhood, it culminates with the two sisters trying to find peace after a family secret has caused a rift between them. Why did I like this book? First off, there is no horrible language. Call me old-fashioned, but that is hard to find these days, and something I appreciate! Secondly, it is just a sweet story. You come to love the characters and their individual personalities. From the grandparents Walt and Ruby and the sisters Juliet and Evangeline, to the secondary characters whom will also steal your heart, you will find yourself drawn to their idiosyncrasies with each new chapter. Thirdly, it is just well written. Author Marci Henna knows how to weave a sentence to pull you in. "As usual, she plucked an excuse out of the air. Bless her pea-picking heart." "That night, Evangeline and I were pressed into place under a mountain of quilts, like petals between the pages of a family Bible." Maybe it's just me and my southern background, but I could just HEAR and FEEL those things being said! Ashton also read the book and really liked it, and mentioned that she appreciated how real the characters were and how well the book was written. And she is usually a harsh critic! I know in this busy world we often have to fight to find free time to just curl up with a book and enjoy a sweet, simple story. I am going out on a limb here and encouraging you to do just that with When We Last Spoke! Interested? You can watch the trailer here! Be forewarned, it WILL pull you in! Our friends at Fly By have graciously agreed to bless one of our readers with a copy of When We Last Spoke. Just leave us a comment with a way to reach you if you win! What is YOUR favorite type of book to read? Welcome back! Last week we decided in the middle of all the YUCK in the world these days and to combat the amount of it being spewed on Facebook, that we would try to do something radical- spread the love to others. 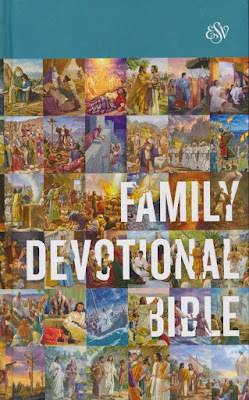 Our first Bible giveaway winner was Cheryl C- we pray she and her family will enjoy The Beginner's Bible for years to come! We are ready to bless someone else with another Bible this week! This time we have The ESV Family Devotional Bible! 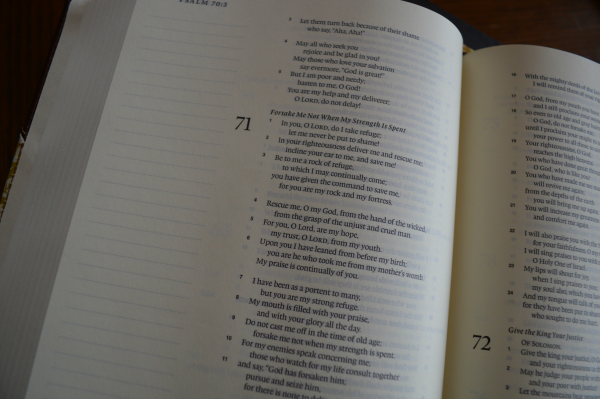 We had the privilege of reviewing this Bible recently and love the format! 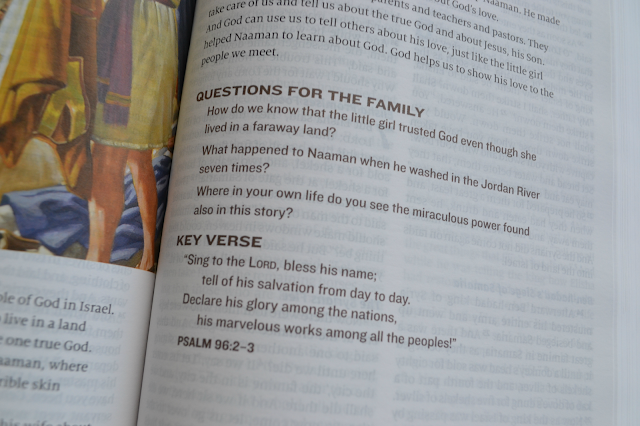 If you do not have a regular family time with your kiddos, or are just not sure how to start, this Bible can help you with questions to get you talking about what you have read. Fill out the rafflecopter below for your chance to win! A random winner will be chosen next Wednesday!